KTM‘s Ken Roczen continues to impress, taking his second AMA Supercross win of his 450-class rookie season at the Georgia Dome in Atlanta. 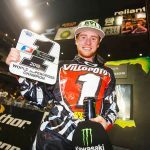 Roczen, who also won the season opening Anaheim 1 round, took advantage of a mistake by Kawasaki‘s Ryan Villopoto to take the win and move within nine points of the defending champion in the rider standings. The main event started with Smartop Motoconcepts Suzuki rider Mike Alessi taking the holeshot for his best start this season. Alessi was followed through the first corner by Villopoto and Yoshimura Suzuki‘s James Stewart. Stewart soon passed Alessi to claim the lead with Roczen also moving up to take third. Stewart entered Atlanta on a two-race winning streak but suffered a setback on the opening lap, crashing moments after taking the lead. Villopoto moved into the lead on Lap 5, with Roczen and Ryan Dungey also passing Alessi. Villopoto held onto the lead until making a mistake on the triple jump on Lap 14, losing the lead to the rookie. 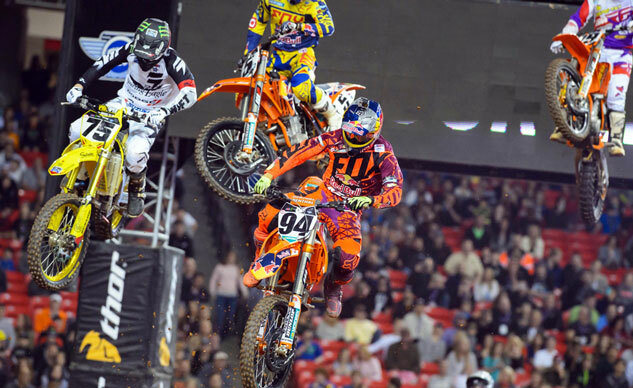 Roczen stayed in front the rest of the way for his second win. Villopoto recovered to finish second while Dungey finished five seconds later for his second-consecutive podium. 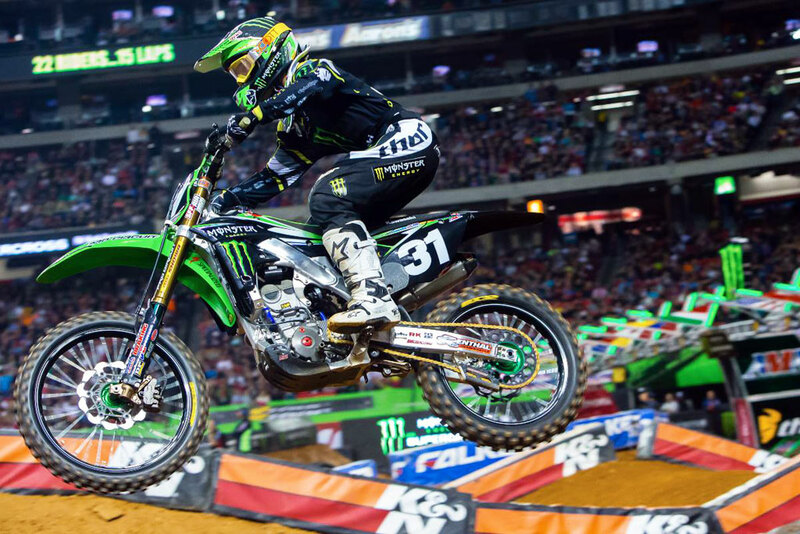 Kawasaki’s Martin Davalos captured his first 250 class win of his career in the Eastern Regional race. His Monster Energy Kawasaki teammate and Arlington race winner Adam Cianciarulo took the holeshot but Davalos soon took over, taking the lead on the second turn and running away with the win. 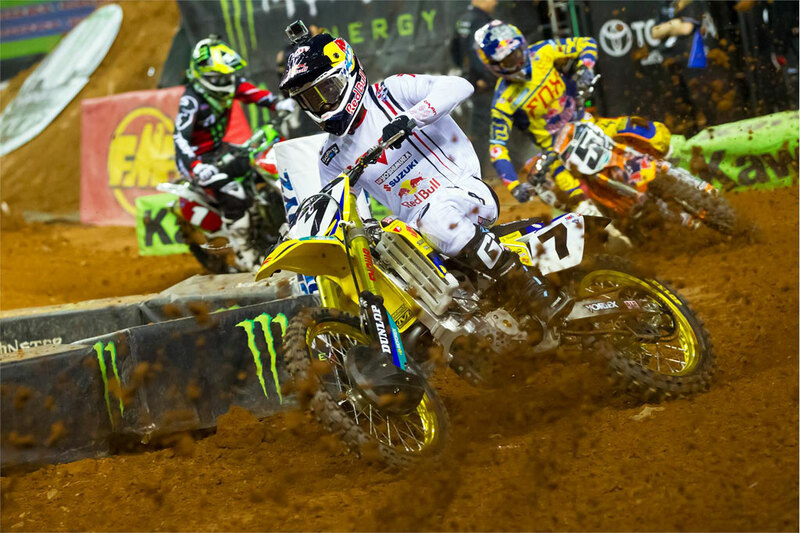 Davalos held a gap of nearly seven seconds and coasted to an easy victory. Cianciarulo finished second to retain the championship lead. GEICO Honda rider Justin Bogle completed the podium in third ahead of teammate Blake Wharton. Villopoto will hold onto the red plate next weekend in Indianapolis with a 166-157 lead over Roczen. 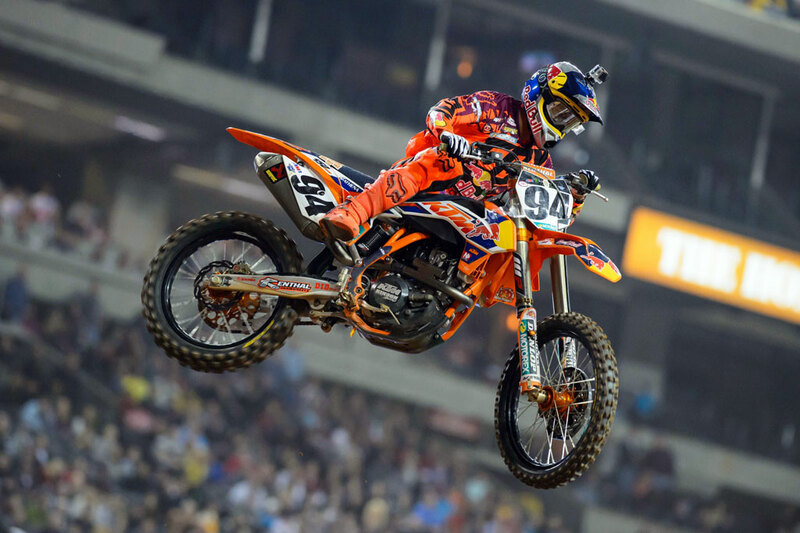 Stewart recovered from his crash to finish 11th and remain in the picture in third place ahead of Dungey. After the 450 class main event, the AMA fined Alessi $4000 for an incident with Broc Trickle during a heat race. 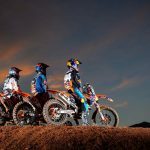 Alessi was also placed on probation for the remainder of the season.